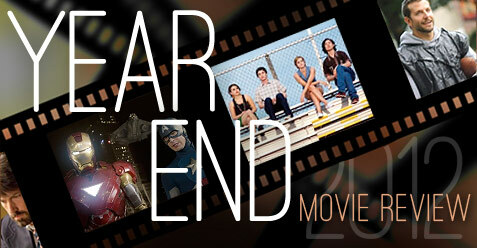 It’s been awhile since Blu-ray fans have had one of those weeks where you could drop an entire paycheck on new releases, so hopefully you’ve been saving up since then, because there are several must-own titles on tap this week, including the new season of Showtime’s flagship series, the Blu-ray debut of the original summer blockbuster, and one of the best action movies of the last decade. And let’s not forget about “The Hunger Games” or Criterion’s release of “The Royal Tenenbaums,” neither of which were available for review, but are definitely films that would complement any collection. 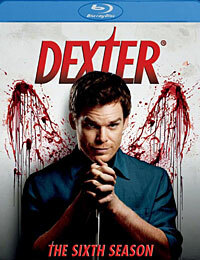 By the time that most TV series reach their sixth season, it’s only inevitable that a few cracks begin to show, and that’s certainly the case with Showtime’s flagship drama “Dexter,” which would be wise to start planning its swan song sooner than later. Though the show’s latest season isn’t bad by any means, it does mark a considerable drop in quality compared to previous years. Certain characters get a lot less face time (although I wish LaGuerta was written off the show entirely), while others don’t act like themselves – especially Dexter, who’s surprisingly reckless for someone that lives by such a strict set of rules. Even the guest stars aren’t as great as usual. Mos Def turns in a solid performance in a multi-episode arc as a reformed criminal who becomes a religious mentor of sorts to Dexter, but the season’s main antagonists (played by Colin Hanks and Edward James Olmos) fail to make a lasting impression. The religion angle is interesting, though not quite enough to drive an entire season, and the finale’s many cliffhangers show promise, but it’s hard to deny that while “Dexter” isn’t running on fumes just yet, it’s the beginning of the end. Blu-ray Highlight: The sole bonus material on the three-disc box set is a collection of interviews with the cast, but because it can only be accessed via BD-Live (a stupid system that plagues most Showtime series), they weren’t available in time for review. It seems fitting that Universal planned the release of its digitally remastered and fully restored version of “Jaws” for the summer of the studio’s 100th anniversary, because the film is not only worthy of the celebration, but it’s widely considered to be the original summer blockbuster. 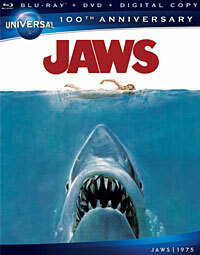 The movie also holds up really well, and that’s largely thanks to the fact that director Steven Spielberg was unable to show as much of his man-eating shark – which he referred to as the “great white turd” due to the constant mechanical breakdowns throughout production – as originally planned. That shark prop looks pretty cheesy by today’s standards, so it was a bit of a blessing in disguise that he was forced to leave so much to the audience’s imagination, because it only intensified the suspense. But while the shark got most of the attention when it scared an entire generation of moviegoers out of the water back in 1975, the film’s legacy owes a lot to the performances of its stars – Roy Scheider, Richard Dreyfuss and Robert Shaw – who turned what could have been a standard monster movie into the funny and thrilling classic that everyone remembers so well. Blu-ray Highlight: In addition to Laurent Bouzereau’s excellent 1995 documentary on the making of “Jaws,” the disc contains a brand new documentary titled “The Shark is Still Working” about the impact and legacy of the film. Narrated by Roy Scheider and featuring interviews with the cast, crew and other filmmakers, the documentary is divided into sections on the production (including casting, shooting on the open sea and ad-libbing on set), the marketing campaign and theatrical release, its international success, merchandising, John Williams’ theme, and of course, the mechanical shark. There had already been a lot of praise heaped upon director Gareth Evans’ Indonesian action film “The Raid: Redemption” before I’d even had the chance to see it at this year’s SXSW, but it deserved every word, because movies don’t get much cooler or more exhilarating than this. 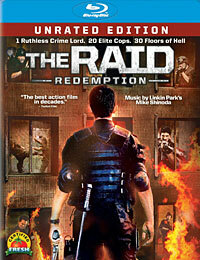 A bone-crunching, testosterone-pumping freight train of destruction that barely lets the audience catch its breath once it gets going, “The Raid” delivers the closest thing to non-stop, wall-to-wall action that I’ve ever seen, and a big part of what makes it so jaw-droppingly awesome is the amazing fight choreography, including what is easily some of the best close-quarters combat committed to film. Every fight is more inventive, more complex and more intense than the last, and just when you think you’ve seen it all, Evans launches into yet another bloody battle. Being exposed to this much action would normally get tiresome after a while, but the director shoots each sequence with such visual flair (with the camera itself becoming a part of the choreography) that it’s like watching a ballet being performed – only, you know, with machine guns and machetes. Blu-ray Highlight: There’s a lot of great stuff on the disc (including a funny Claymation short parodying the film), but the audio commentary by Gareth Evans is entertaining and extremely informative, with the writer/director talking about the movie’s inception, its various influences, and the challenges in filming many of the action sequences.